Kanye West once infamously declared jazz “dead,” but talented artists like Philippe Edison are proving that theorem wrong with every genre-bending release. Such is the case with Edison’s recent Love Advocate III. The Houston-based artist just dropped a 9-track exhibition of his skill which showcases Jazz’ ability to seamlessly bond its DNA into that of other genres. On “Ambrosia,” and “Water Colours,” he forges velvety soundscapes that sounds like drifting off into the poshest corner of the cosmos. “Tiberoa I” is an experimental percussion showcase, with beaming synths enveloping an off-kilter kick that sharply thumps against them. “ill vibes” is a two-step worthy, hip-hop-infused number that sounds ready ripe for a couple bars – but Edison mans this ship alone. He aims for his music to “extend beyond the realm of Jazz,” and Love Advocate is a strong example of just that. Put this on during your workday or while relaxing at home and imbibe. 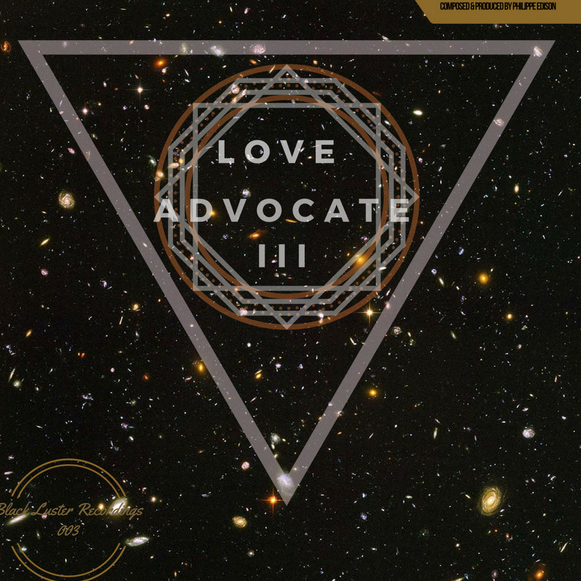 You can purchase The Love Advocate III here. You can stream below.